Every Chinese New Year I buy myself a tangerine tree for good luck. Ripe fruits fallen to the ground will mould and turn white and green within 36 hours. Every Thanksgiving I roast a turkey big enough to feed twelve. Leftovers taste better the next day but will spoil by the week’s end even when kept in the fridge. The unifying theme of these two unrelated household anecdotes is that unprocessed food does not last. Spoilage is part of nature’s metabolism. So how is it possible that the Valencia oranges on my kitchen counter look exactly the same as they did five weeks ago at the store, or that the expiration date stamped on a can of luncheon meat reads “March 2018”? I can’t help but wonder what really is in our food. Our appetite for things that taste better, look nicer, last longer and cost less, from breakfast cereal to meat products and fresh produce, is insatiable. 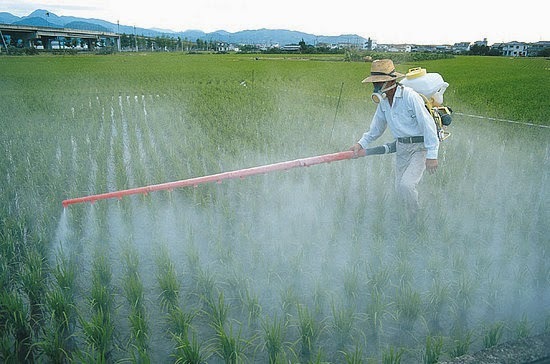 Consumer demand has spurred the growing use of pesticides, flavorings, colorings and preservatives in the food industry. While globalization requires mass-produced food to withstand long travels and lengthy storage, increased competition from world trade means that the dual goal of taste and shelf life must be achieved at the lowest cost possible. Food safety will have to take a back seat. Every now and then we hear news stories of E. coli or salmonella outbreaks caused by contamination in the food production chain. And every so often a medical journal will warn us of the danger of BPA, BHA and other industrial chemicals found in packaged food. America is a pioneer and leader in many things: blockbuster movies, smart phones and, for better or for worse, processed food. The Fast Food Nation has given the world not only McDonalds and Campbell Soup, but also an inventive panoply of genetically modified crops like herbicide-resistant soybeans and insect-killing corn. To feed 300 million supersized stomachs, the American animal farm has been transformed into a Detroit auto plant. 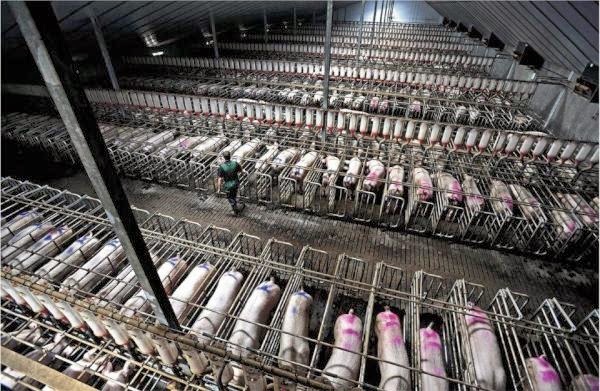 In a typical “factory farm,” livestock is confined in overcrowded feedlots that stretch for miles. Poultry and cattle are fed antibiotics and growth hormones to reduce the spread of disease and speed up production. Moral qualms over animal cruelty aside, the use of undesirable chemicals in intensive animal farming and the rise of medication-resistant bacteria raise serious concerns over the long-term effects on human health, such as early puberty in pre-teen girls as a result of exposure to growth hormones. None of that, however, prevents the practice from being replicated on an even larger scale in emerging markets around the world, including India and Brazil, the world’s largest exporters of beef and chicken, respectively. 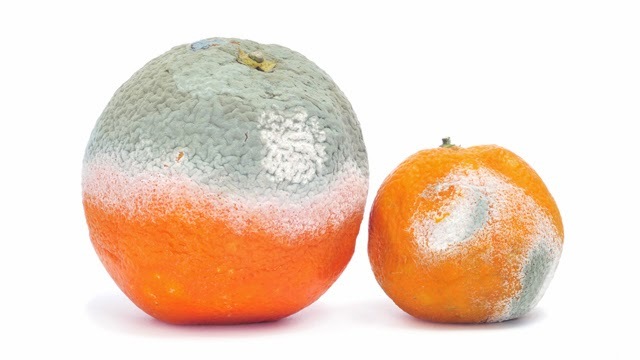 But all those Frankenstein foods and jam-packed industrial farms in America pale in comparison to the stomach-turning food safety scandals in China. The world’s second largest economy is also a 21st Century dystopia, where unscrupulous businessmen are willing to sell anything to make a quick buck. The long list of unsafe food products in China includes rice contaminated with cadmium, rat meat sold as mutton and pork that glows in the dark because of phosphorescent bacteria. In the Wild Wild East, the food industry is made up of equal parts ingenuity, audacity and atrocity. 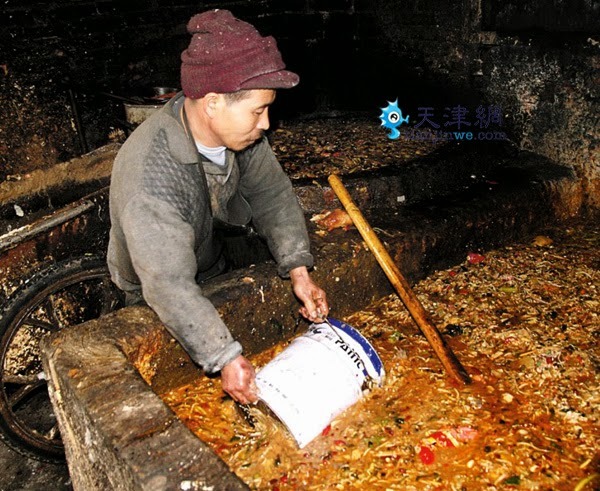 The infamous “ditch oil” (地溝油), for instance, used by fine restaurants across the country, is made by carefully distilling discarded oil collected from the sewers. Fake eggs that bounce like ping pong balls are manufactured using gelatin and paraffin, each handcrafted with an artist’s sensibility and a surgeon’s precision. If only they put their talent to better use, China might have come up with its own iPhone and iPad. 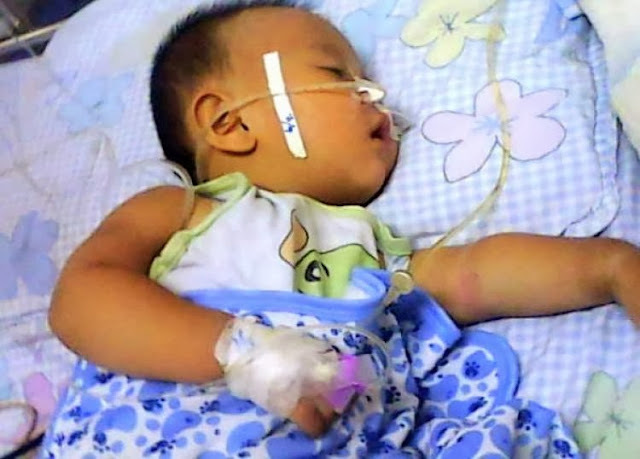 The watershed moment in China’s tattered food safety record came in 2008, when tainted baby formula sickened nearly 300,000 infants and killed at least six. Sanlu (三鹿), a state-owned dairy product manufacturer and one of the most trusted names in the food business, was caught using the industrial chemical melamine to boost its milk powder’s protein content to meet government nutritional standards. The company filed for bankruptcy later that year. Since the Sanlu scandal made international headlines, the Chinese leadership has made repeated promises to crack down on illegal business practices and make food safety a national priority. Six years on, however, tainted milk products continue to resurface at smaller retail chains in fits and starts. In the Chinese food business, catching the bad guys is more than just a cat-and-mouse game – it’s more like playing Whac-A-Mole at the arcade. One of the 300,000 "stone babies"
An unbridled market economy, lax regulatory oversight and widespread corruption have created a perfect storm for the New China. Whereas air pollution may take years to take its toll and we won’t feel the effect of shoddy building construction until the next earthquake, the impact of unsafe food products is much more immediate and noticeable. And while government authorities are slow to rein in the food industry, responses from ordinary citizens are much swifter. In cities across the nation, citizens avoid eating out whenever they can, for fear of dubious cooking oil and meat products. They only shop at big supermarket chains and prepare their own meals at home. These changes in dining and shopping habits bring about other social ramifications. That only the elite can afford pricy organic or imported food is fuelling a growing sense of social injustice. 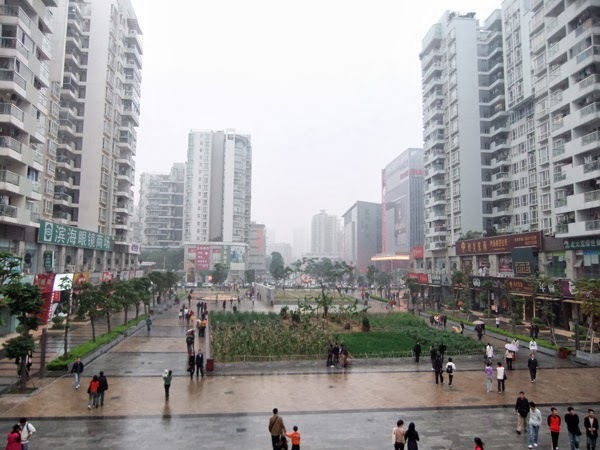 Increasingly, people in China – even those in big urban cities – are starting to grow their own food. A Mainland Chinese friend of mine told me that his parents who live in a residential area 20 minutes from Beijing have formed farming communes with their neighbors. They grow tomatoes, pumpkins and melons in makeshift farmland converted from public lawns within the housing complex. The very place where they used to practice tai chi in the morning has been dug up for seed planting. These urban farms do not provide nearly enough food to support an entire neighborhood, but many would rather eat less than get violently sick. 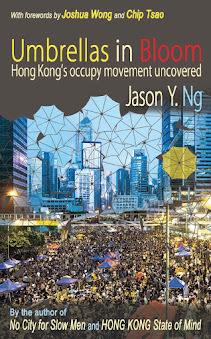 And so it appears that China has come full circle in a mere generation. People used to starve before economic reforms lifted hundreds of millions out of poverty. Decades later, citizens are suffering from starvation of a different kind, caused not by a lack of resources but an absence of civic morality. The ripple effect of China’s food safety crisis is felt far and wide, but none more intensely than here in Hong Kong, where nearly all of our food is imported and 90% of it comes from the Motherland. 70% of our drinking water is purchased from nearby Guangdong province. Gone are the days when the island was a self-sufficient fishing village capable of feeding itself. Today, there are less than 7 square kilometers of arable farmland – roughly 0.5% of the city’s area – occupied by a dwindling base of aging farmers. 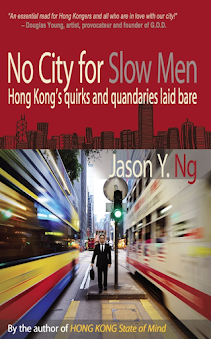 Each time we hear another food scandal in China, we are reminded of the city’s vulnerability to the decline in business ethics up north. Until the Chinese bureaucrats get their act together to strengthen food safety oversight, Mainland Chinese and Hong Kongers alike continue to play Russian roulette at every meal. There is very little that an ordinary citizen can do to turn the tide – for as much as we try to check the origin of every food item we buy at the market, each time we eat out we are at the mercy of the restaurant that will always put taste and cost above our health. Just when we think we have more food choices than ever, we are hit with the reality that we have far fewer safe options than we used to. 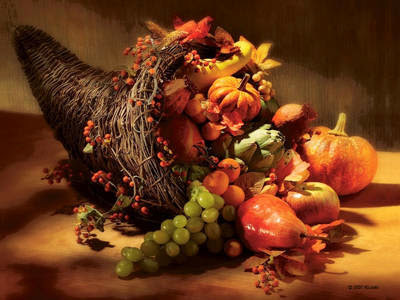 The cornucopia, the horn of plenty that symbolizes abundance in modern society, is just an illusion. Read also Part 2 of this article: The Dating Game. 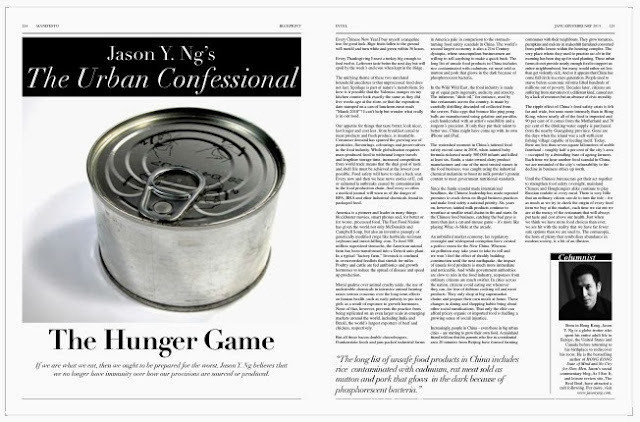 This article was published in the January/February 2014 issue of MANIFESTO magazine under Jason Y. Ng's column "The Urban Confessional."